better selling your better beer. Enjoy forming your own beer opinion? Style Trends™ FREE for one week! 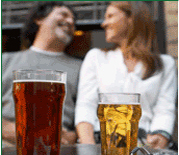 Change your approach to selling beer with our online resources, it's quick easy and affordable. How Are You Selling Beer? 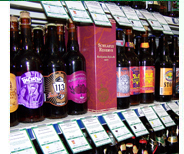 Read Michael's Column in the "The Beverage Journal"
What Does the Future Hold for Beer? Eisbock: The Real "Ice Beer"
H.R. 5034 Care: A Friend Or Foe For Retailers? Where do beer experts come from? Is your store worthy of Stone Enjoy By IPA from Stone Brewing Company? What's the best way to show your stuff? Are you ready for American Craft Beer Week? May 12th - 18th is American Craft Week - Are You Ready?